An office swivel chair that is custom-made made for individual users, teams or situations in terms of function, comfort and aesthetics, playing an important and influential role for productivity, health and wellbeing in the workplace. The swivelling office chair family consists of four components that fulfil the most different aesthetic, material, usage and price demands. 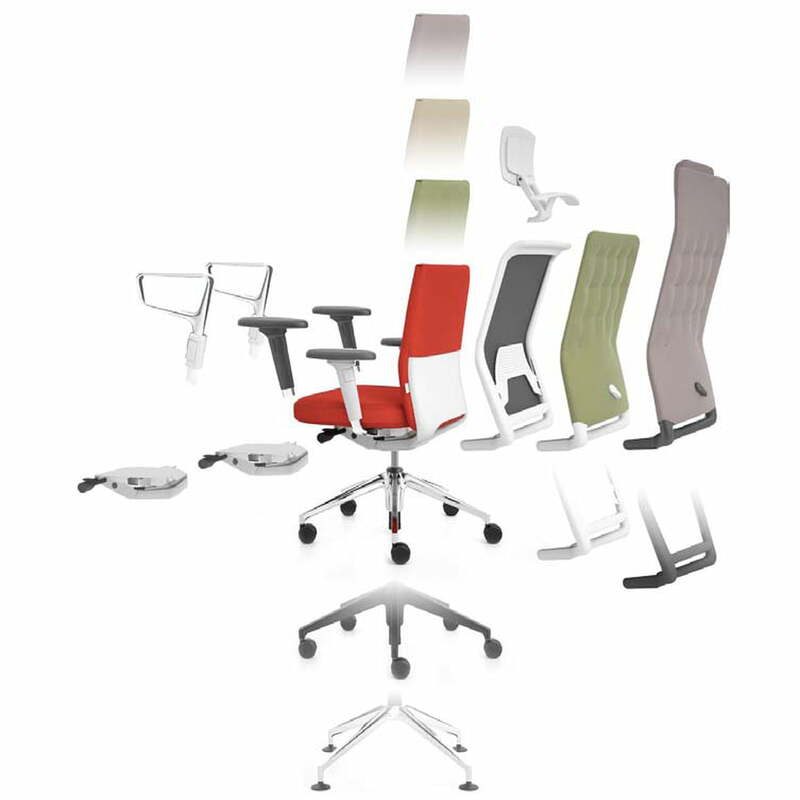 Based on the various fabric models (Mesh, Soft and Trim), more than 8,000 different ID chairs can be configured by combining 4 mechanisms, 3 armrests, 3 lower frames and 2 frame colours. This constantly keeps the spine in its natural posture and the field of vision is maintained even in a reclined working position. The neck and throat area stay relaxed. Dynamic sitting means comfortable sitting and at the same time healthy sitting. A new, patented chair mechanism in the ID Chair Concept allows synchronous forward tilt with weight adjustment in addition to the adjustable backward movement. This supports dynamic sitting throughout the entire movement sequence. The mechanism’s functionality follows the body’s movements and maintains constant contact with the back. 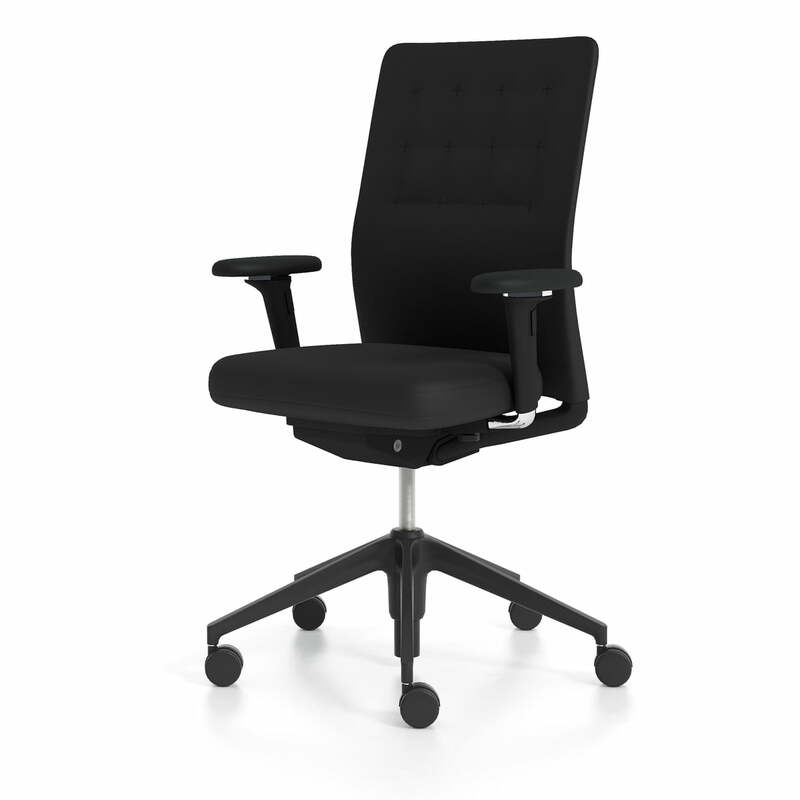 The harmonious movement of the mechanism encourages the user to stay seated for ongoing dynamic sitting. The counterpressure of the backrest and the forward tilt can be adjusted so that you can switch to or between every sitting position between the maximally reclined lounge position and the forward tilted sitting position without effort. The user thus has unrestricted movement freedom. 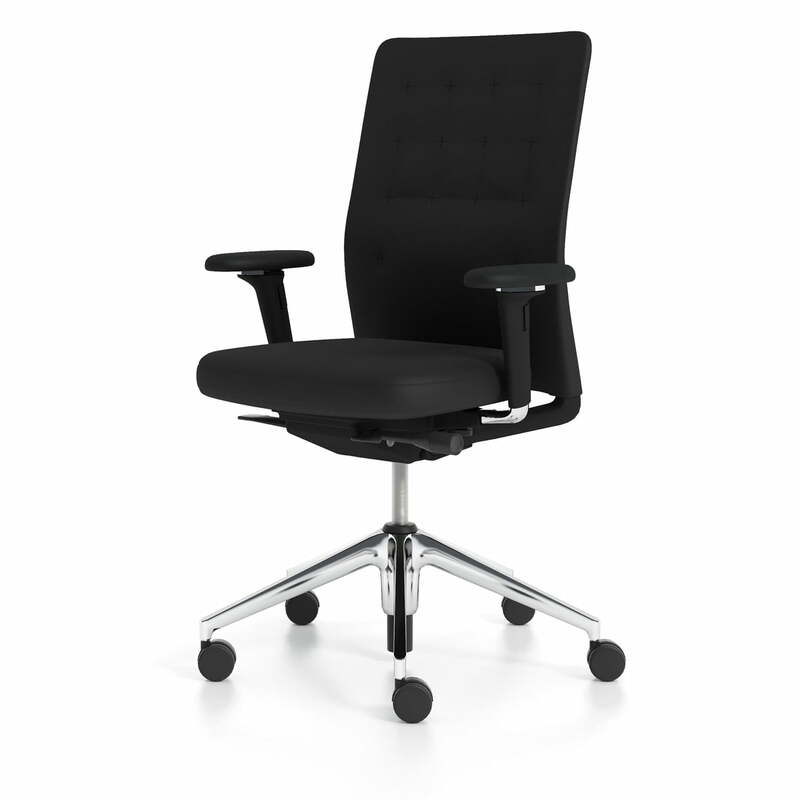 Would you like to configure your ID office swivel chair individually to your needs? Contact us and we’ll be happy to help you!